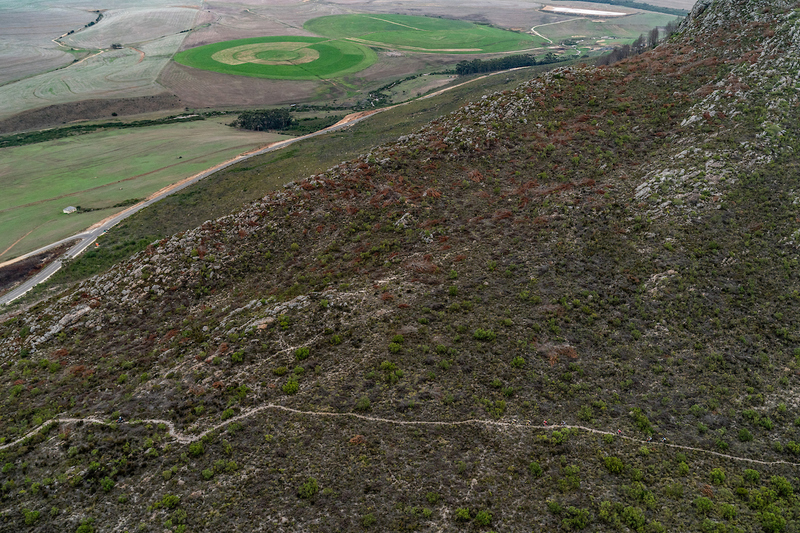 As the sun rose over Harmanus te Cape Epic headed into the network of single trails and relentless climbs that make this one of the best mountain biking areas in South Africa. Relentless. Attritional. 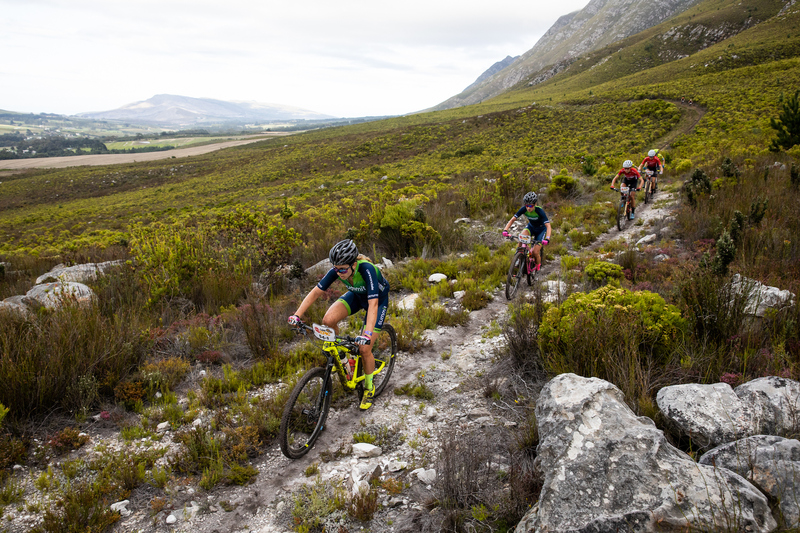 A return to the Absa Cape Epic Stage 1’s of old and the Hemel en Aarde Valley. A sublime day of tough single trails with vista of mountains and vineyards. 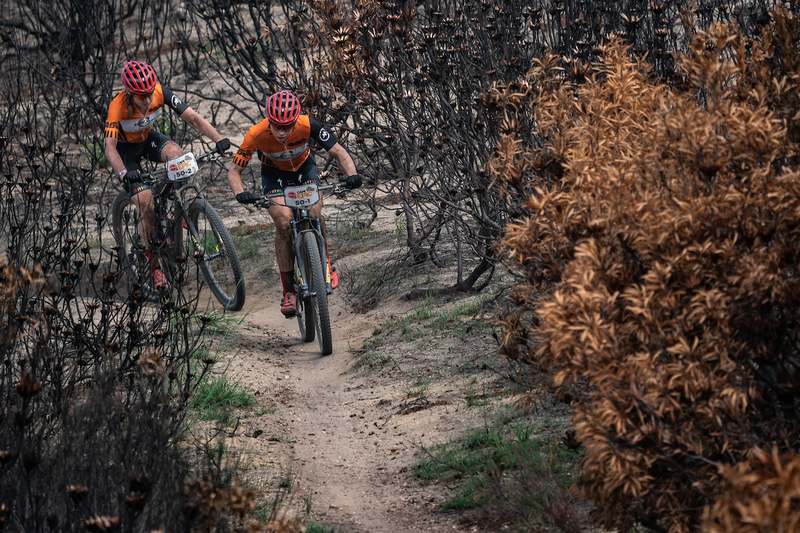 Anna van der Breggen and Annika Langvad during stage 1 of the 2019 Absa Cape Epic Mountain Bike stage race held from Hermanus High School in Hermanus, South Africa on the 18th March 2019. 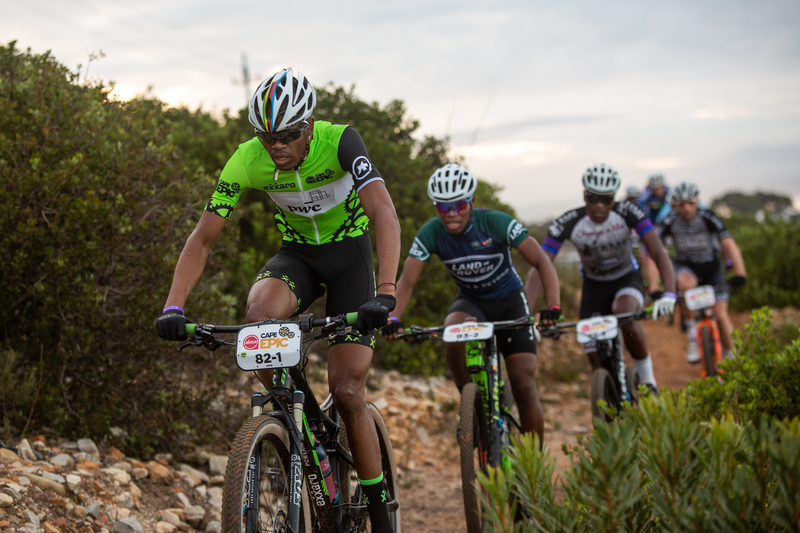 Lucky Mlangeni during stage 1 of the 2019 Absa Cape Epic Mountain Bike stage race held from Hermanus High School in Hermanus, South Africa on the 18th March 2019. 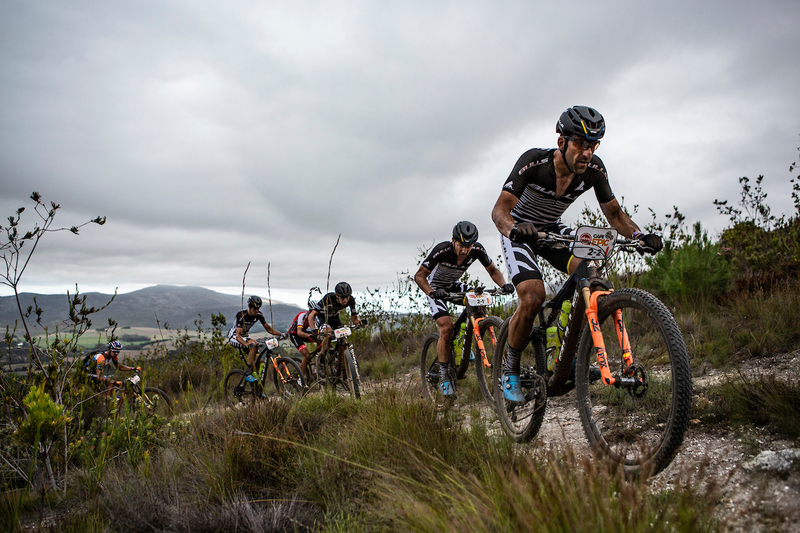 Ibon Zugasti of ORBEA FACTORY leads a small group down the track during stage 1 of the 2019 Absa Cape Epic Mountain Bike stage race held from Hermanus High School in Hermanus, South Africa on the 18th March 2019. 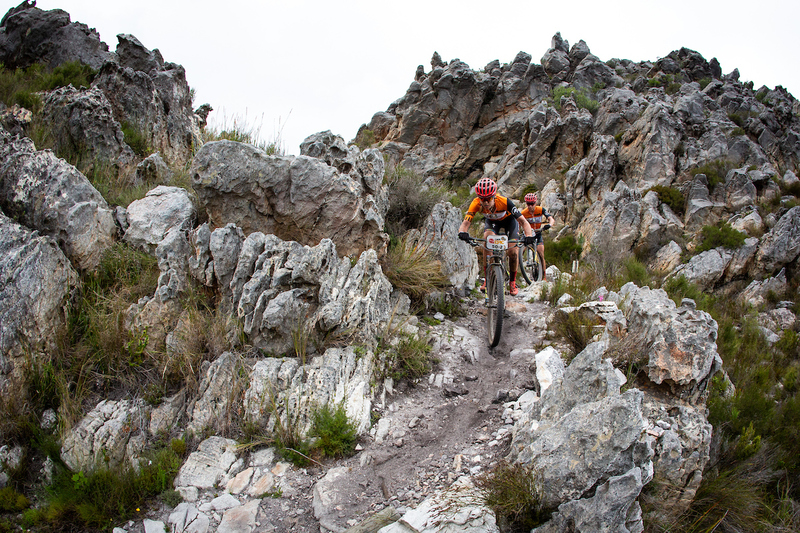 Alban Lakata of Bull Legends during stage 1 of the 2019 Absa Cape Epic Mountain Bike stage race held from Hermanus High School in Hermanus, South Africa on the 18th March 2019. 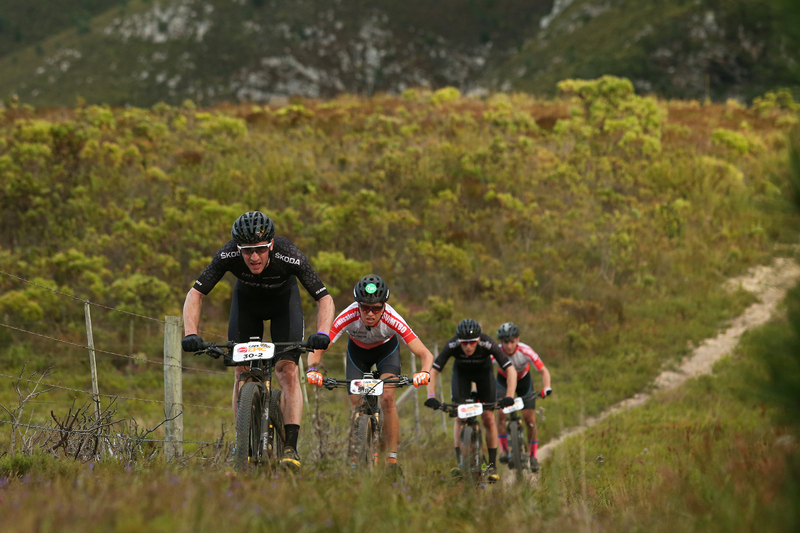 Lead bunch during stage 1 of the 2019 Absa Cape Epic Mountain Bike stage race held from Hermanus High School in Hermanus, South Africa on the 18th March 2019. 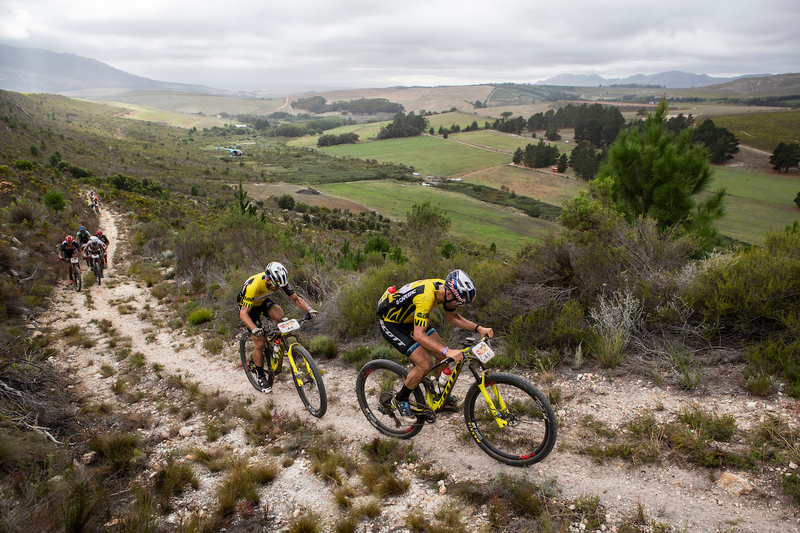 Nino Schurter and Lars Forster of SCOTT SRAM break away during stage 1 of the 2019 Absa Cape Epic Mountain Bike stage race held from Hermanus High School in Hermanus, South Africa on the 18th March 2019. 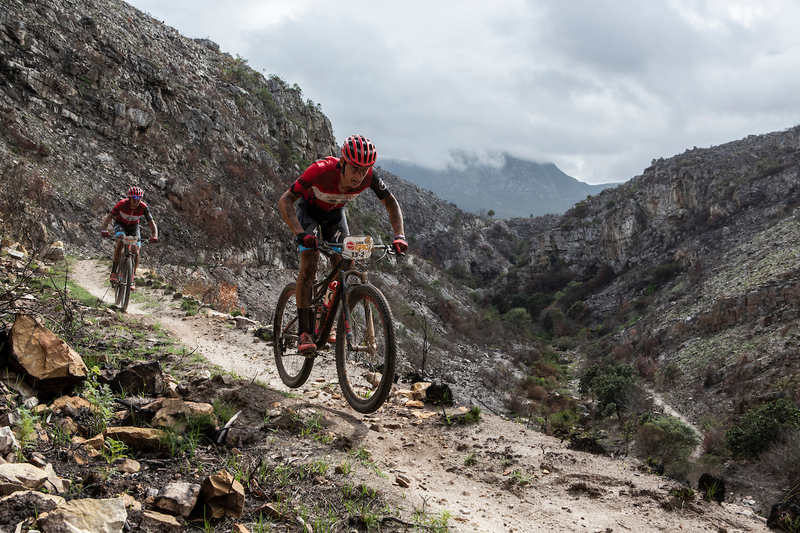 Matt Beers and Alan Hatherly of SpecializedFoundationNAD during stage 1 of the 2019 Absa Cape Epic Mountain Bike stage race held from Hermanus High School in Hermanus, South Africa on the 18th March 2019. 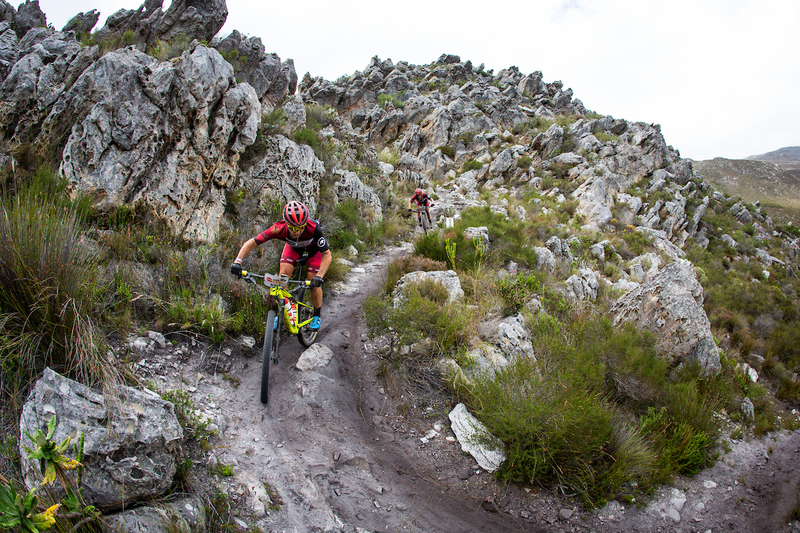 Samantha Sanders and Amy Mcdougall during stage 1 of the 2019 Absa Cape Epic Mountain Bike stage race held from Hermanus High School in Hermanus, South Africa on the 18th March 2019. Annika LANGVAD (DNK) and Anna VAN DER BREGGEN (NLD) of team Investec-songo-Specialized during stage 1 of the 2019 Absa Cape Epic Mountain Bike stage race held from Hermanus High School in Hermanus, South Africa on the 18th March 2019.